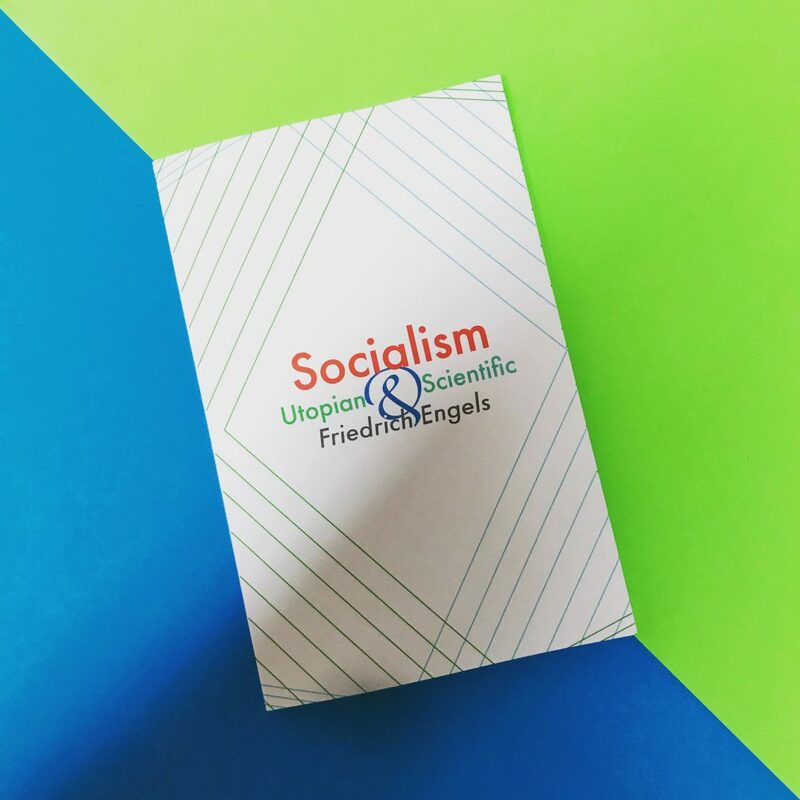 We are very pleased to announce that Socialism: Utopian and Scientific is out now! To celebrate, we’ve prepared a couple of resources to be able to assist discussion groups in discussing this classic of Marxism. 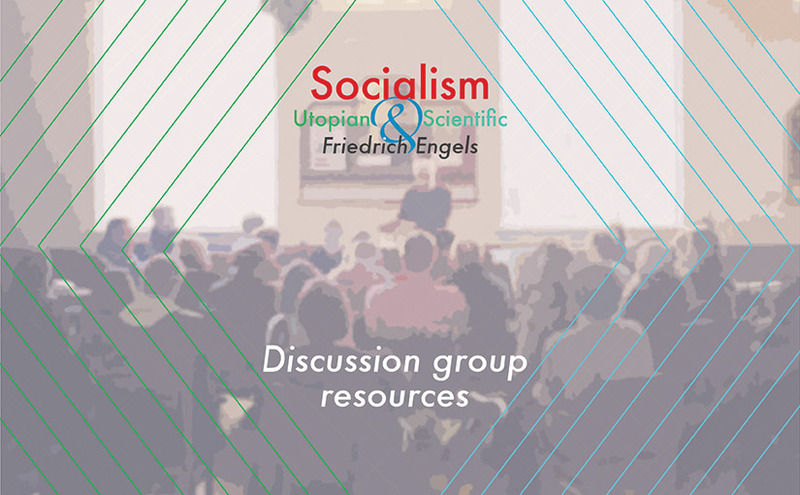 You can order copies of Socialism: Utopian and Scientific here; if you want a number of copies for your discussion group just use the code ‘bulk’ at checkout to get 20% off. Socialism, the podcast of the Socialist Party, invited Ben Robinson from Socialist Books onto the podcast this week. We discussed why we’re republishing Socialism: Utopian and Scientific, what the key themes are and it’s importance. Have a listen below, or search for Socialism on your usual podcast app; this is episode 18 of an excellent series, it’s well worth subscribing and listening in every week! We’ve also prepared a list of questions to try and help discussion at your group. We’ve produced a handy pdf to print off, and will carry the questions in full below. Feel free to use as many or as few as you like, or discuss it on your own terms. These are here to spark discussions and help explore and understand the book. If you are organising a discussion group, we’d love to hear your feedback! 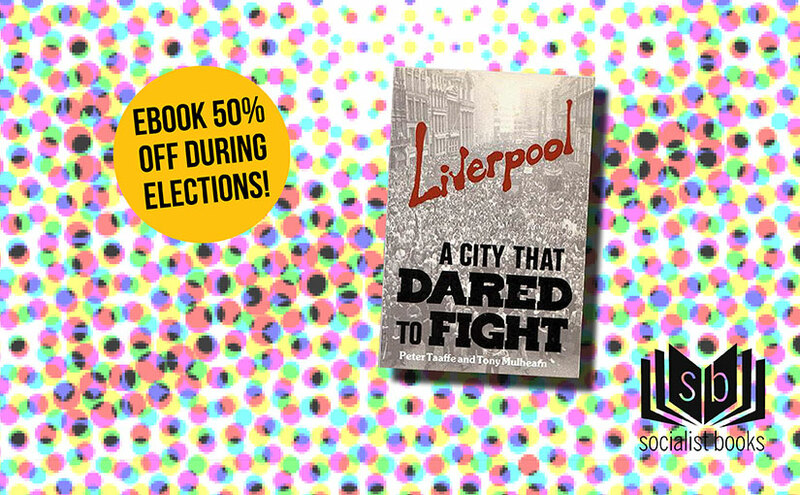 Email through any comments here, tag us in your instagram pics @socialistbookscwi, or share it with us on Facebook or twitter. Why does Engels describe the early socialists Saint-Simon, Fourier and Owen as Utopian Socialists? What is their significance? Saint-Simon, Fourier, Owen and Hegel were all contemporaries of the French revolution. Is this a coincidence, and if not why not? What was Hegel’s ground-breaking philosophical contribution to Marxist thought? And why was it incomplete? Why is modern materialism essentially dialectical in Engels words? Can historical processes be successfully interpreted in a non-dialectical manner? What is the essential driving force in the development of every class struggle throughout recorded history? How does a commodity differ from the product of labour of an individual in the pre-capitalist era? Engels describes production becoming socialised, yet appropriation of surplus value remaining in the possession of the capitalist class. What does he mean by this, and what are the consequences? What are the economic consequences of the ‘compulsory laws of competition’ (Section 3, Page 38) between rival capitalists and how do they manifest themselves? Is it possible for the capitalists in specific industries to neutralise these challenges by forming monopolies? During economic crises ‘the mode of production is in rebellion against the mode of exchange’ according to Engels and Marx. (Section 3, Page 43-44). 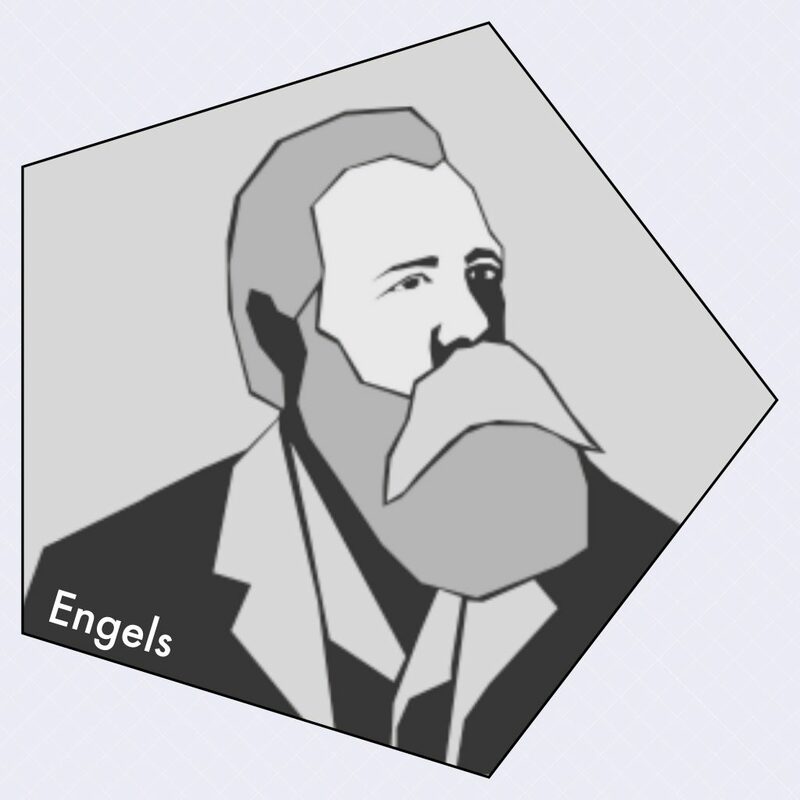 What does Engels mean by this and how does this clash manifest itself particularly in periods of crisis? Capitalism, by its nature, draws into production and wage-labour increasing layers of society. What impact does this process of proletarianisation have? Why do Marxists argue that the working class has a central role to play in the socialist transformation of society? In section 3, page 47, Engels talks about large parts of the productive forces being owned by the capitalist state and adds it is ‘not the solution of the conflict, but concealed within it are the technical conditions that form the elements of that solution.’ What does he mean? With privatisation being the dominant strategy of capitalists internationally over the last 30 years, has Engels’ analysis been invalidated? Under what conditions can this process of privatisation be reversed? What does Engels mean when he writes (Section 3, Page 50), ‘The first act by virtue of which the state really constitutes itself the representative of the whole of society – the taking possession of the means of production in the name of society – this is, at the same time its last independent act as a state’? 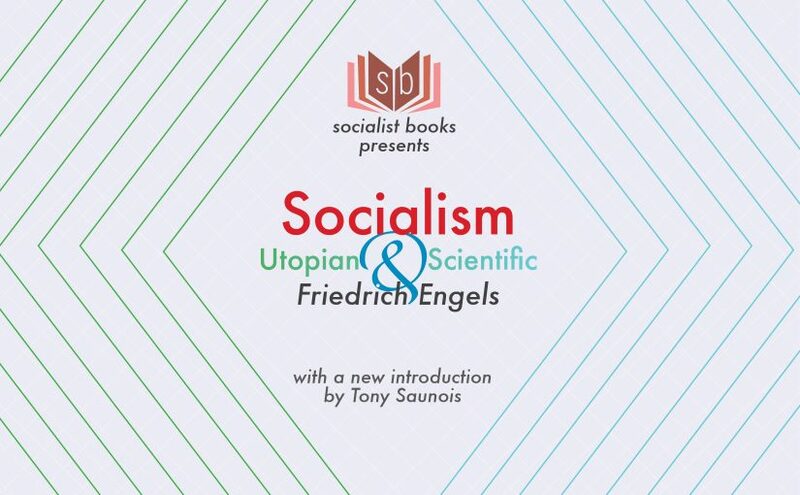 Socialist Books is very pleased to announce that our next upcoming title will be Socialism: Utopian and Scientific, by Friedrich Engels. It will be out on the 11 February 2019, and is available for pre-order here. Can’t wait that long? 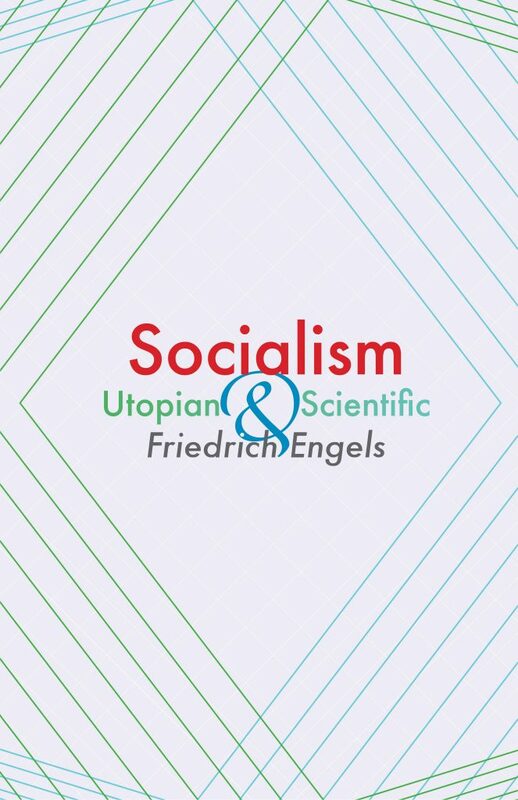 Good news, our Kindle edition of Socialism: Utopian and Scientific is available now! Socialism: Utopian and Scientific is an excellent overview of socialist ideas, written by Marx’s long-time co-thinker Engels. 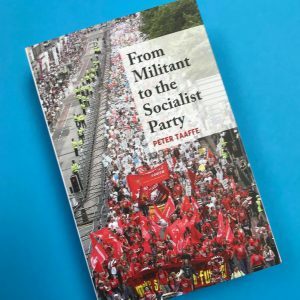 It explains how the motor forces of history, above all the class struggle, created the conditions for socialism, and the ideas which underpin it. Engels looks at the utopian socialist forerunners and the key tenets of scientific socialism. Covering history, economics, philosophy, science and more, Socialism: Utopian and Scientific is an excellent guide to socialist thinking. Socialist ideas are best when shared and discussed! This is why we’re offering a 20% reading group discount on orders of four or more. To take advantage of this, once you’ve placed the items in your basket, use the code ‘BULK’ and the discount will be applied. Get the reading group discount and free postage if you order before 11 February. 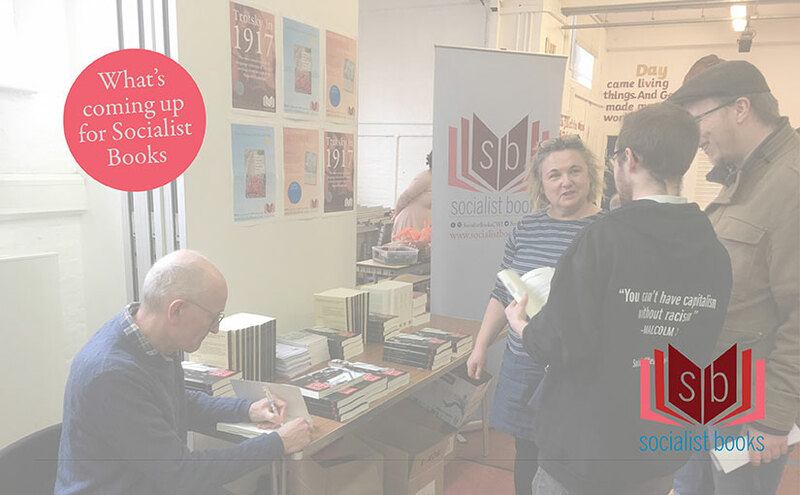 Socialist Books are also aiming to produce some notes and questions to encourage discussions – bookmark our website or sign up to our mailing list to be the first to hear about this and all the latest news from Socialist Books! 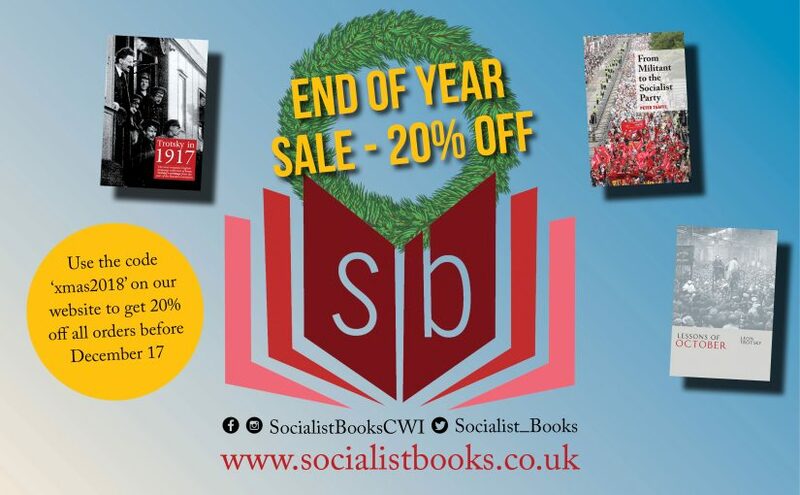 Socialist Books has published both titles separately, but we would recommend reading them together – and to that end we’re offering a discount of over 15% if both are bought together here. 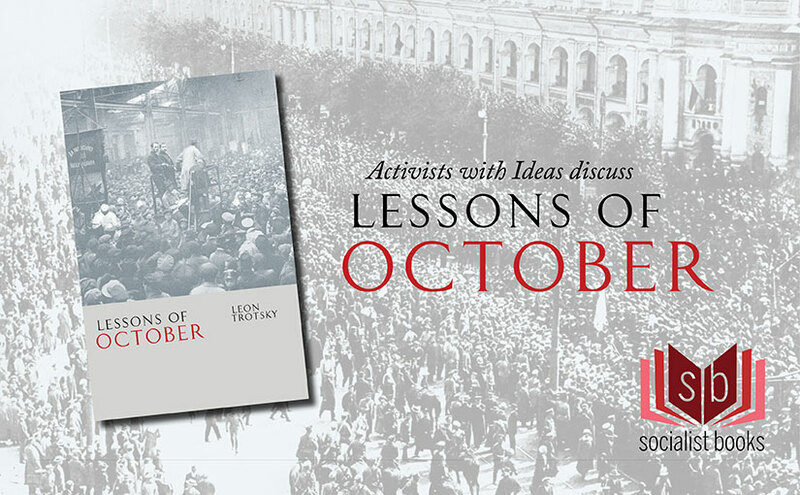 Judy Beishon, author of the introduction to our edition of Lessons of October, is speaking at an Activists with Ideas event at Goldsmiths University on March 18. Hosted by Socialist Students and London Socialist Party, this event is open to everyone interested in socialist and marxist ideas.You can see full details on the Facebook event page. 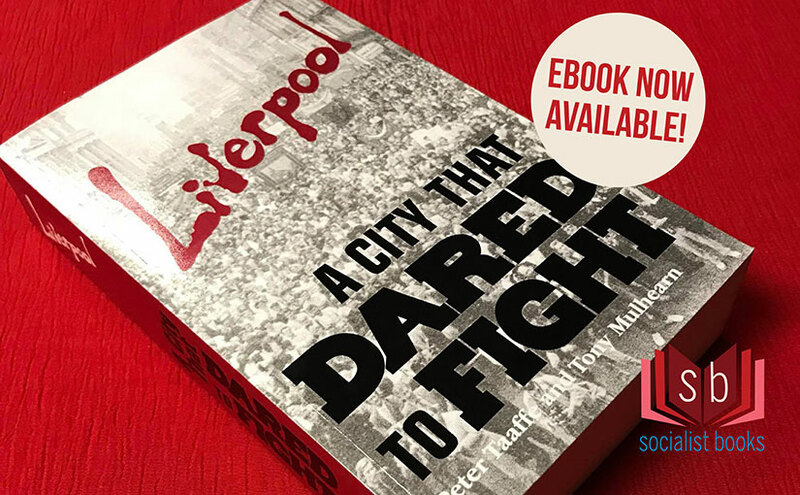 If you have not yet got a copy, you can get the Kindle edition here, order a paperback edition here, or pick it up together with our latest release Trotsky in 1917 and save £2.50 when buying both together! “Crisis, austerity and environmental devastation. That is the future capitalism offers for billions of working class, young and poor people across the globe. We live in a world where eight men own the same wealth as the 3.6 billion people in the poorest half of humanity, said Oxfam a year ago. In the year since then, the world’s richest 1% took 82% of all the wealth generated. And for the vast majority of people this system can’t meet people’s basic needs for housing, health care, education and even food and water. “But we are fighting back and socialism is popular! “Bernie Sanders becoming the most popular politician in the US, Jeremy Corbyn increasing the Labour Party’s vote in the UK, Syriza (before its betrayal) receiving 36% of a Greek general election vote, the emergence of Podemos across Spain, Jean-Luc Mélenchon receiving seven million votes in France, among others. Across the world we have seen movements develop around politicians standing against austerity..
“But to implement an anti-austerity programme we need ideas to challenge the rotten capitalist system. “Activist With Ideas is a series of meetings hosted by London Socialist Party and Socialist Students. We will be discussing the Socialist and Marxist ideas needed to provide emerging movements against austerity and capitalism with a programme that can change society. “2017 saw the centenary of the Russian revolution, an important event for those struggling against capitalism everywhere. 1917 is the only example, so far, of workers taking, and holding, power. This publication is ideal reading. It is the first overview of how the revolution was won, written by one of the leading participants. Today, 15 January, marks the 99th anniversary of the assassination of Rosa Luxemburg and Karl Liebknecht, leading figures in the German revolutionary movement, killed in an attempt to behead the German revolution. 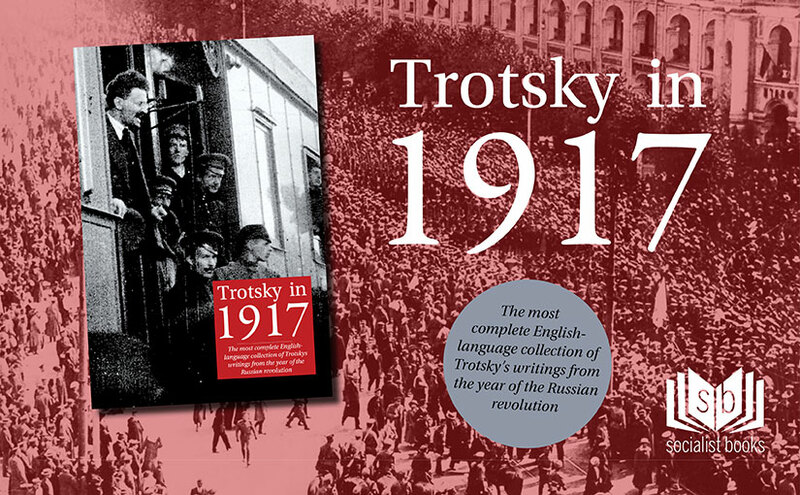 In our upcoming title, Trotsky in 1917, Trotsky frequently discusses the importance of the fight for socialism internationally. 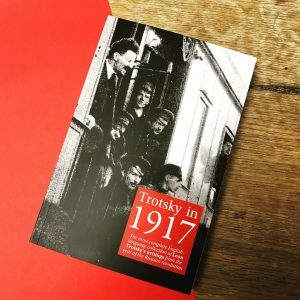 Below, we publish one of the many articles, speeches etc never before translated into English that are appearing for the first time in Trotsky in 1917. 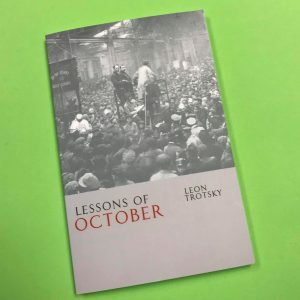 In this speech, Trotsky discusses the importance of international solidarity, the hope embodied by figures such as Liebknecht and Luxemburg, the progress of the peace talks – and the need to be prepared to defend the revolution if necessary. 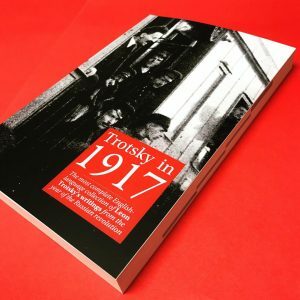 Trotsky in 1917 will be back from the printers on 18 January. You can pre-order the paperback here, or the ebook here. Indented text is the Izvestia journalists summary of Trotsky’s comments. Text between ‹› indicates an audience interjection. The same confidence in an early end to the war was expressed in an interview with cde Trotsky by a French socialist who thought that France, hurling back the Germans at the battle of the Marne, will move up to the Rhine and, at the same time, Russia with a vigorous offensive will threaten Berlin and at this the war will end. This is what cde Trotsky’s interlocutors thought and, indeed, anyone who dared to say at that time that the war could drag on for a year or even more was considered a madman. Obviously, those huge living forces, those colossal military resources that the European powers deployed on the arena of battle would guarantee that the war could not last long. However, this is already the fourth year and humanity is not coming out of the infernal circle of war. Indeed, this war has shown how resilient human beings are, how much unspeakable suffering they can endure, but the war also shows the extent to which barbarism is still preserved in modern man. Technological progress never achieved such heights as at present, people have conquered space with the radiotelegraph, they effortlessly rise skyward without fear of the elements – and the same people crawl on their knees in filth, making their homes in trenches and there, through their peepholes, do their abominable business under orders from the ruling classes. Human beings – the rulers of nature – sit in these embrasures, and like in a prison cell scrutinise other humans through their peepholes as future prey. At Zimmerwald were gathered the internationalists who were being mercilessly persecuted by the chauvinists of all countries. We were a small handful, three dozen people. It seemed that the entire past of socialism had been submerged by a bloody wave of chauvinist blindness and that we were the last remnants of a great but now closed chapter. 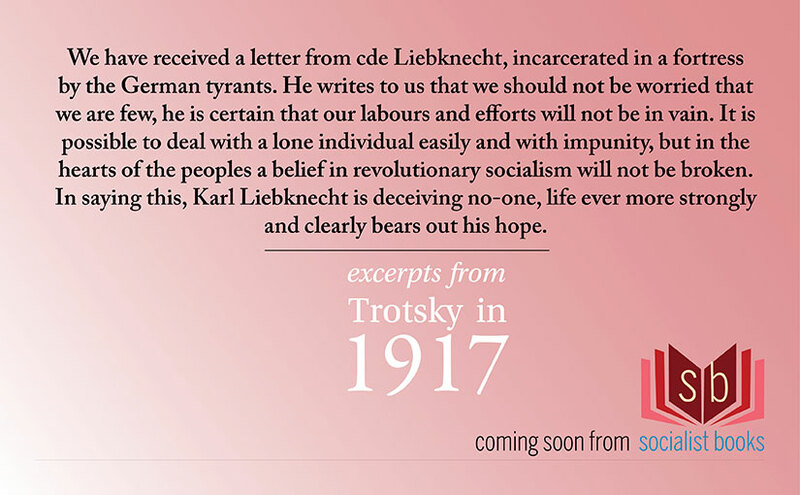 We have received a letter from cde Liebknecht, incarcerated in a fortress by the German tyrants. He writes to us that we should not be worried that we are few, he is certain that our labours and efforts will not be in vain. It is possible to deal with a lone individual easily and with impunity, but in the hearts of the peoples a belief in revolutionary socialism will not be broken. In saying this, Karl Liebknecht is deceiving no-one, life ever more strongly and clearly bears out his hope. Cde Trotsky in the name of the meeting declares: “Long live our friend, the staunch fighter for socialism, Karl Liebknecht!” ‹stormy applause. From the hall, voices ring out: We demand the freedom of Liebknecht and Fritz Adler!› Other internationalists, Fritz [Friedrich] Adler, Höglund, Rosa Luxemburg, etc, who domestic imperialist governments labelled as being in the pay of enemy states, were accused of treason and have been incarcerated in dungeons. The speaker eloquently points to a whole series of facts that their efforts, steadfastly raising the voice of protest against the oppression of the peoples by a small group of rapacious imperialists, have not gone unheeded. No methods, no coercion will succeed in erasing from the consciousness of the peoples the criminality of this war that brings only ruin and suffering. We can regret that events are not developing as rapidly as we would wish but ‘the earth nevertheless continues to go around’. There is no place for despair. In Russia, in young, uncultured, backward Russia, where the tyranny of tsarist government pressed down particularly hard, the banner of revolutionary struggle was unfurled sooner than in other countries. We were the first. But the same reasons that pushed our masses into struggle are present in all countries, independent of the national temperament of this or that nation. Sooner or later these reasons will tell. The fact that during the war we overthrew the tsar and the bourgeoisie, the fact that in a country of 180 million people what was, until recently, still a small group came to power – this fact has world-historical significance and will always be imprinted on the consciousness of the working masses of all countries. Having risen up in the land of Europe’s gendarme (as the esteemed Nikolai Romanov was styled), the Russian people declare that they wish to speak with their brothers-in-arms in Germany, Austria, Turkey, etc, not in the language of arms but in the language of the international solidarity of the toilers of all countries. This nation declared openly to the whole world that it does not need conquest, it will not encroach on others’ possessions and that it seeks only the brotherhood of peoples and the freedom of labour. This fact cannot be eliminated from the consciousness of the popular masses of all countries suffering under the yoke of the war. Sooner or later they will hear our voice and stretch out a helping hand. But even if were to suppose that the enemies of the people conquered us and we perished, if the land of the conquerors crushed us, if we were reduced to dust, our memory would still pass from generation to generation and awaken our children to a new struggle. To be sure, our situation would have been much easier if the peoples of Europe had risen together with us, if we had to parley not with General Hoffmann and Count Czernin, but with Karl Liebknecht, Clara Zetkin and Rosa Luxemburg. This has not happened and we cannot be blamed for that. Our brothers in Germany cannot blame us for negotiating with their sworn enemy, the Kaiser, behind their backs. We are talking to him as to an enemy – we do not soften our irreconcilable hostility to this tyrant. The truce has brought a pause in hostilities, the roar of the guns is silenced. Everyone is anxiously waiting to hear with what voice the Soviet government will talk with the Hohenzollern and Hapsburg imperialists. You must support us in this so that we should talk with them as with enemies of freedom, its suppressors, and not one atom of freedom is sacrificed to imperialism. Only then will the true meaning of our efforts and goals penetrate deeply into the consciousness of the German and Austrian people. If this third force – the voice of the working class – which must play a decisive role, does not awaken and does not exert a powerful influence, then peace will not be possible. But I think the Rubicon has been crossed and there will be no return to the past. The tired and old would leave. But we would say that our honour is in danger, we would issue the call and create a mighty and powerful army with the revolutionary enthusiasm of the soldiers and Red Guards who would fight to the end. We have still not played our cards. Because, comrades, our enemies and the Allied imperialists must understand that we did not overthrow the tsar and the bourgeoisie to go down on our knees to the German Kaiser, to bow down to foreign militarism and to pray for peace. 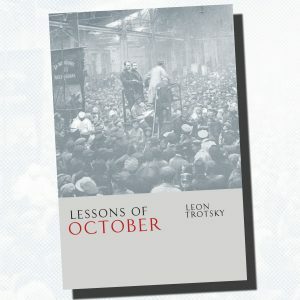 If due to the economic collapse we cannot fight – if we have to renounce the struggle for our ideals, then we will say to our comrades abroad that the proletarian struggle is not over, it is only postponed, like in 1905 when, crushed by the tsar, we didn’t complete the struggle with tsarism we only postponed it. That is why we enter the peace negotiations without pessimistic or dark thoughts. However much the bourgeois press rages, and repeats over and over again that our negotiations will hurt the interests of democracy, we will not halt in our path because everything they attribute to us is lies and slander. They call us traitors to the people of Britain and France because we are allegedly guilty for new forces bearing down on the Allies, transferred from the eastern front. But you know that the Russian delegation strongly insisted that the German general staff did not transfer soldiers from the Russian front to the west. General Hoffmann hotly objected and used every effort to reject this point, but we didn’t give in and a transfer of forces is not now being implemented. Cde Trotsky shows two maps of the western front in September and October, from which it is clear that in the course of these two months there was a large transfer of forces from ours to the western front. But in these two months, the speaker says, we were not in power and peace negotiations were not then taking place…. Next, cde Trotsky moves to a characterisation of the attitude that bourgeois imperialist circles of all countries adopt, using a lackey press for the creation of an atmosphere of hatred and resentment towards the Russian revolution, towards the actions of the Soviet government and towards the toiling masses of the entire world, awakening to the struggle for the overthrow of capitalism and imperialism. 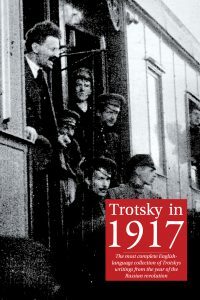 Cde Trotsky makes public a series of documents showing that inside Russia there are representatives of foreign powers who are playing an active role in the organisation of counter-revolutionary rebellion. 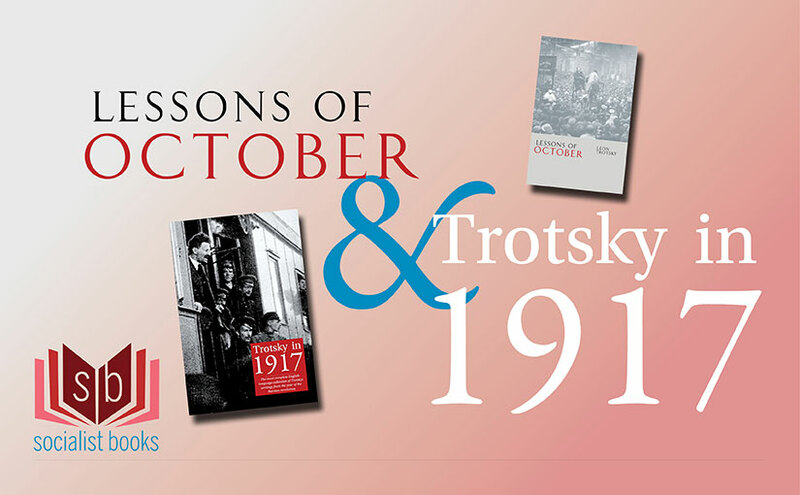 See Trotsky on World War One, published by the Socialist Party, 2015. Zimmerwald is a village in Switzerland where the first anti-war conference of socialist internationalists was held in 1915. Liebknecht was a leading German revolutionary. Imprisoned for anti-war campaigning, he would be released by the onset of the German revolution, and later murdered by the reactionary forces. Adler was the secretary of the Austrian Social Democratic party until 1916, when he was imprisoned for assassinating the Austrian Premier as an anti-war gesture. Later played a leading role in the Second International. Höglund was a Swedish revolutionary, imprisoned for anti-war campaigning and released in May 1917. Later helped to found the Communist Party of Sweden, but later rejoined the Social Democratic Party. Luxemburg was a leading German revolutionary, imprisoned for anti-war campaigning. She was later freed by the German revolution, in which she played a leading role, and was subsequently murdered by reactionary forces on the same day as Liebknecht. Romanov is a reference to former Tsar Nicholas II. Hoffmann was chief-of-staff of the German 8th Army. Czernin was foreign minister of the government of the Austro-Hungarian empire. Zetkin was an anti-war socialist in Germany, and a member of the Spartacist League together with Luxemburg and Liebknecht. Hohenzollern and Hapsburg were the family names of the German and Austro-Hungarian emperors respectively. The German emperor, Wilhelm II, is later referred to in this article just as Wilhelm. The Left SRs were the anti-war minority in the Social Revolutionary (SR) Party. Kaledin, a Cossack cavalry general under the tsarist regime, was one of the first to organise an armed attack on the new Soviet hovernment. He killed himself in February 1918. Jassi is a town on the then Romanian/Russian border. Clemenceau and Lloyd George were, respectively, heads of government of France and Britain.